Fiilex has announced the new Matrix II RGBW and Matrix II Tunable White. 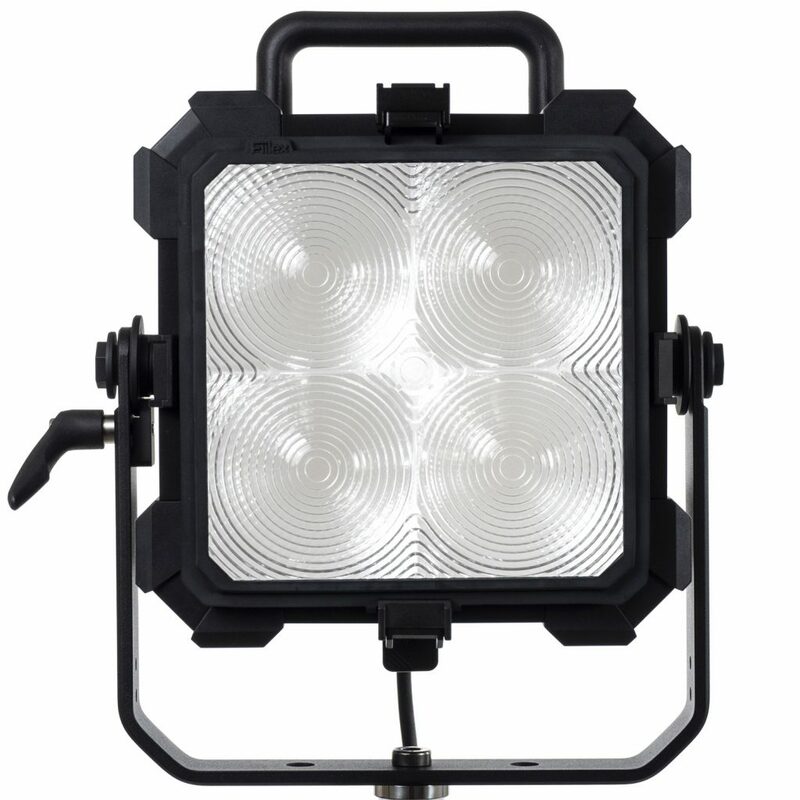 These new models build on the original Matrix light with a new larger, more robust yoke, improved dimming, support for high-end RDM/DMX512 and an XLR power input which supports 48V batteries. 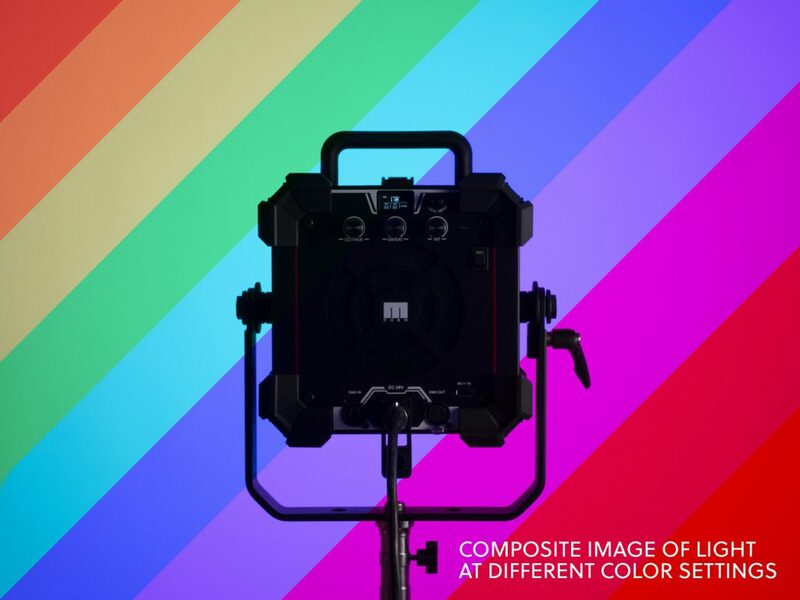 The Matrix II RGBW is the first full-colour RGB lighting fixture from Fiilex. 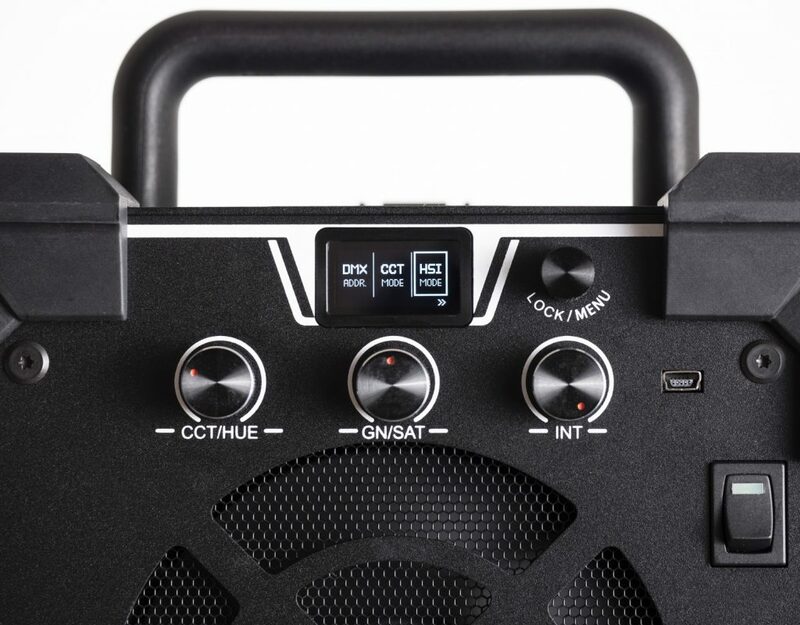 It features four control modes: CCT, HSI, RGBW & Gel presets. 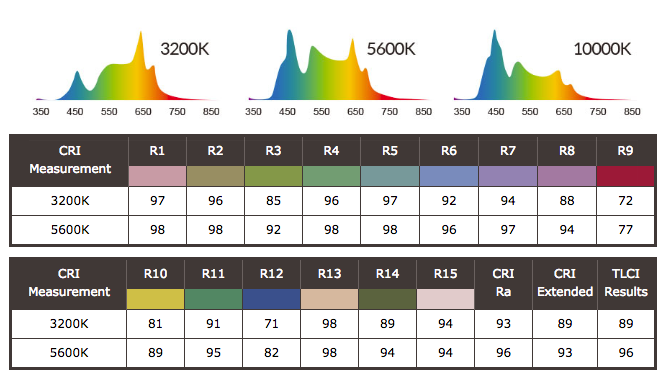 Rather than a single chip, the Matrix II RGBW has multiple chips, each with a specific portion of the hue wavelength to produce a deeper range of hues. 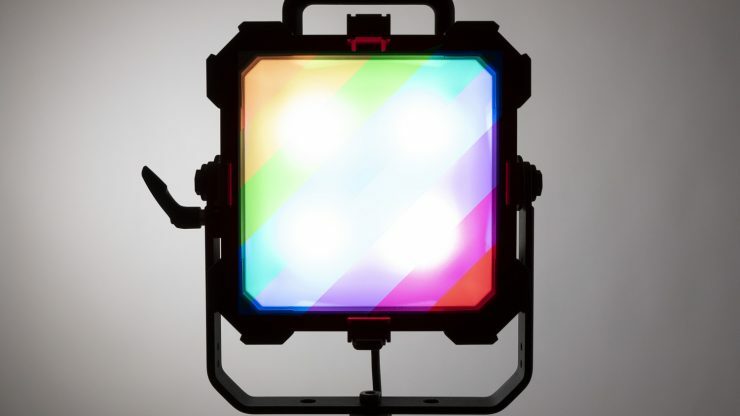 These chips are positioned into four dense Matrix LED clusters in a custom-designed reflecting chamber which is then enclosed by a layer of diffusion. The Matrix II RGBW is white balance tunable between 2800-6500K. 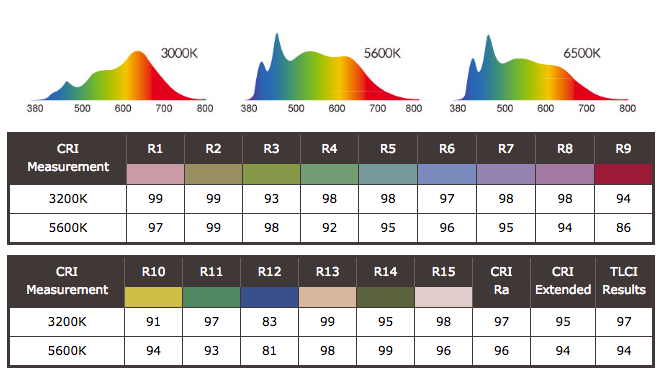 If you don’t need full-colour RGB, you can opt for the Matrix II Tunable White that is tunable from 2,800-10,000K. 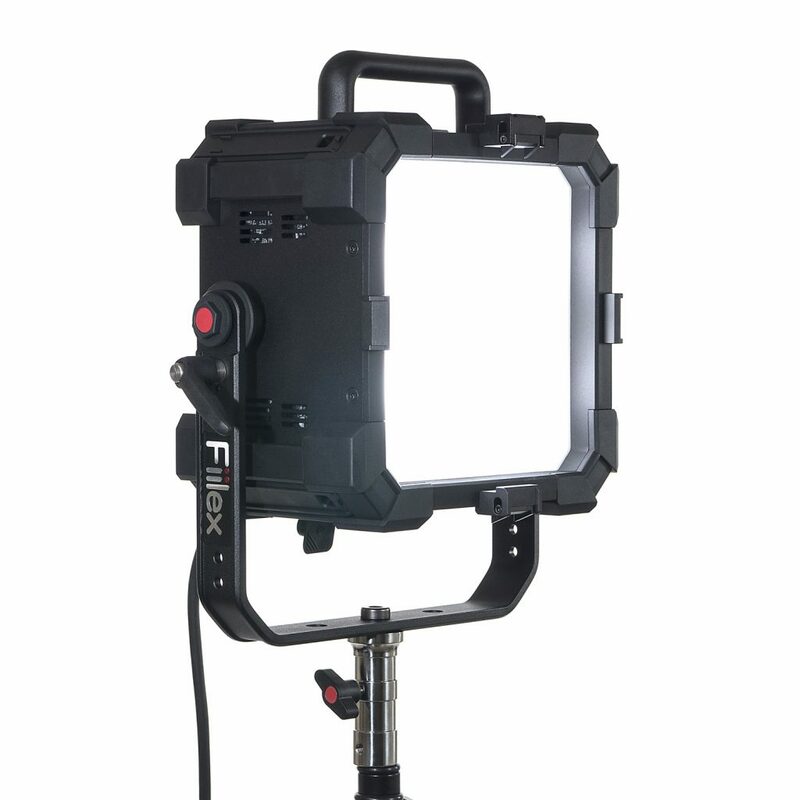 The fixture is compatible with light banks from Chimera as well as DoP Choice when using the speed ring accessory (FLXA088). 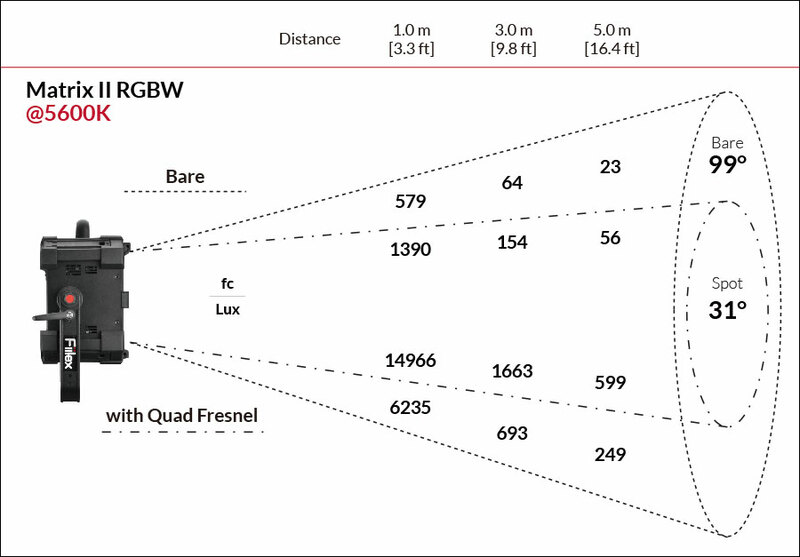 It can also be used as a front-focused light with the optional Quad-Fresnel, which increases beam intensity by 3x. The Matrix II RGBW & Tunable White lights will be shipping in July 2018.